Your stainless steel 8 oz. 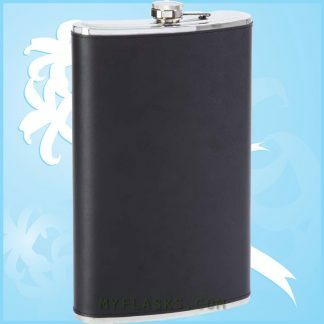 whiskey flask is perfect for sharing with a friend. It features sides with brushed finish, polished top and bottom and a reliable screw-down cap. Measures 3-5/8 “x 5-3/4” x 7/8”. Limited lifetime warranty. White box.